1. Dexamethasone, but not stress, induce measurablechanges of mitochondrial benzodiazepine receptor mRNA levels in rats. Siripurkpong P., Harnyuttanakorn P, Kotchabhakdi N, Wichyanuwat P, Casalotti S.O. European Journal of Pharmacology, 1997 Jul 23; 331(2-3): 227-235. 2. Stress, anxiety and peripheral benzodiazepine receptor mRNA levels in human lymphocytes. Nudmamud S, Siripurkpong P, Chindaduangratana C, Harnyuttanakorn P, Lotrakul P, Laarbboonsarp W, Srikiatkhachorn A, Kotchabhakdi N, Casalotti SO. Life Sciences, 2000 Sep 22; 67 (18) 2221-31. 5. Review Article “Cardiac Troponin (cTn) and Creatine Kinase-MB (CK-MB): Cardiac Markers for Acute Myocardial Infarction (AMI)” Siripurkpong, P., Journal of the Medical Technologist Association of Thailand, 2005 Dec; 33(3): 1175-1186. 7. Effects of niacin and chromium on the expression of ATP-binding cassette transporter A1 and apolipoprotein A-1 genes in HepG2 cells. Siripurkpong P., Na-Bangchang K., Journal of Nutritional Biochemistry, 2009, 20(4):261-8. 9. Prevalence and risk factors of metabolic syndrome among Thammasat University personnels. Puttaruk P., Kongkhum S., Siripurkpong P., Songklanagarind Medical Journal, 2012, 30(3):123-134. 10. Efficiency of the QC Procedure Using OPSpec Chart and Sigma Metric QC Planning Tool. 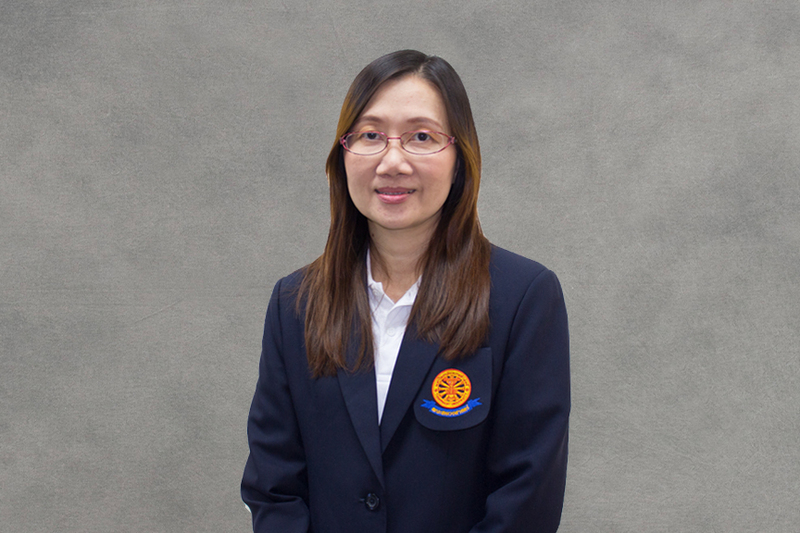 Khaongamdechawat, S., Siripurkpong P., J Med Tech Assoc Thailand, 2013, 41 (2); 4548-4563. 11. Palmitic acid induces insulin resistance in 3T3-L1 adipocytes. Piumngam K., Siripurkpong, P., Kongkhum S., J Med Tech Assoc Thailand, 2013, 41(3): 175-184. 12. Disulfide Linkages in Plasmodium falciparum Plasmepsin-I Are Essential Elements for Its Processing Activity and Multi-Milligram Recombinant Production Yield. Lolupiman, S., Siripurkpong, P., Yuvaniyama, J. *, PLOS ONE, 2014; 9(2): e89424. 14. Xylitol does not directly affect adiponectin production and adipogenesis in 3T3-L1 cells. Siripurkpong, P., Prajan, S., Kongkhum, S. Songklanakarin J. Sci. Technol., 2014, 36 (4); 425-432. Secretome Analysis of Acid Induced-3T3-L1 Adipocyte: A Focus on Time-Palmitic regulated Release. Sorbitol has no significant effects on 3T3-L1 -adipogenesis and adiponectin synthesis and secretion. Kongkhum S , Fungkrajai M , Prajan S , Bordeerat NK , Piumngam K , Siripurkpong P.
High glucose enhances CD39 expression in vascular endothelial cells. Piumngam K , Siripurkpong P , Kongkhum S , Roytrakul S.
Proteomics Study of Palmitic Acid-induced Insulin Resistance in Adipocyte Secretome. Palmitic Acid Induces Insulin Resistance in 3T3-L1 Adipocytes.